The Celadon City Apartments in Tan Phu with the highlights you cannot ignore when buying. In recent years, anyone who has mentioned Tan Phu District has not thought that it was only just the district located in the west of Ho Chi Minh City. 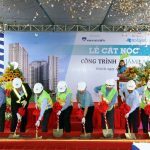 The explanation for this is the development not only of the infrastructure but also of the economic potentiality, which has helped Tan Phu District can quickly change rapidly and become very rich and crowded. The road has the name associated with the legend of the nation – Au Co, the boundary of Tan Phu District and Tan Binh District. This is the place where many modern conveniences are available for residents of both districts. The highlight is that it is one of a few roads in Ho Chi Minh City undergrounding all power grids, which creates an extremely eye-catching landscape for tourists. Besides, other roads such as Tan Ky Tan Quy, Hoa Binh and Thoai Ngoc Hau are also mentioned. These roads are considered one of the “backbones” connecting Tan Phu and other nearby districts. 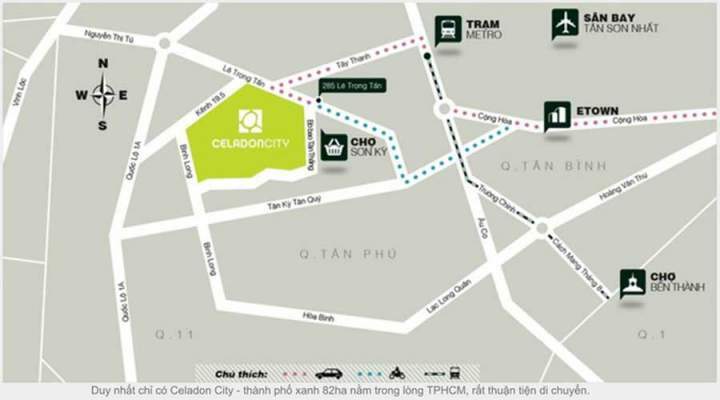 Celadon City is located on N1 Street, Son Ky Ward, Tan Phu District, Ho Chi Minh City with the total area of 82 hectares. With such the large area, the green space here will satisfy all criteria of customers. 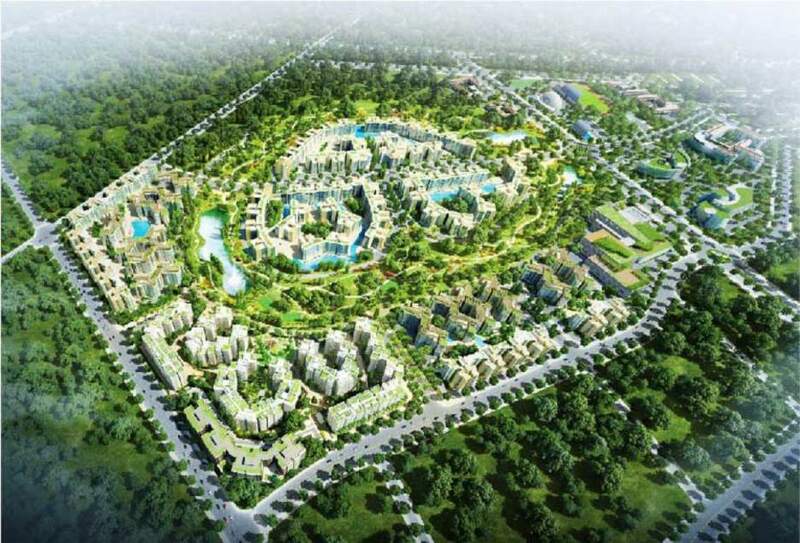 The Gamuda Land Group investor has set more than 16 hectares to build a green park on the campus of the project. It can be said that there is no project in Ho Chi Minh City having this idea before. Firstly, the cultural center of the food owns the area of 4 hectares: Understanding the demand for food of all customers, we have studied and produced quite a lot of dishes of the different ethnic groups so that customers can enjoy the new cultures. Besides, the Gamuda Land Group has discussed many times that it has decided to cooperate with the Unesco Center for International Cultural Exchange. In the future, major national, international cultural, educational, scientific, the information and the communication events will be held here. 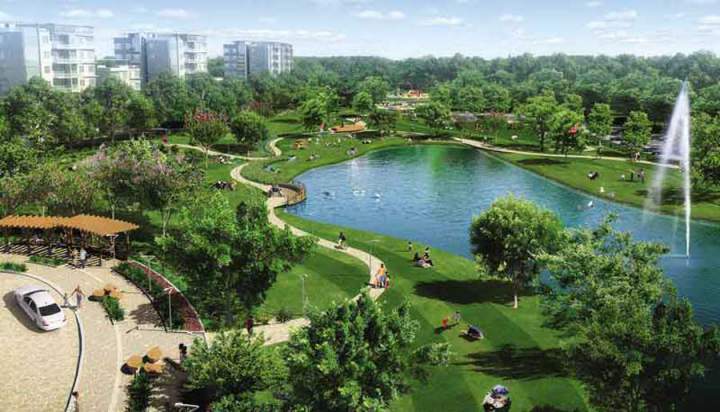 Celadon City is one of the projects in the Tan Binh and Tan Phu districts are attracting a large number of customers and residents living in the western area of Saigon. The second is the education area (7.31 hectares): “Sien is the national spirit”, so the education is always the hot issue of social concerns. In order to provide our children the good environment for both physical and mental development, we have designed over 7 hectares to the plan of the education system from kindergarten to high school. In terms of quality, we are handing over to the international schools so that our children can receive the most advanced education in the world. Therefore, residents can feel secure when they send us their children. The third is the commercial center of the Celadon City project (3.51 hectares): Aeon Mall commercial center is no stranger to the entire population in the city. With a large scale, this place has the appearance of all kinds of items from safe food according to the standards of the Ministry of Health to the fashion and cosmetic brands well-known in the world. The fourth is the Sports Center: For every person apart from eating, sleeping, school and work, there is no lack of the physical activity. This is an extremely good habit for your health. In order to provide customers the ideal training environment for their health, the Gamuda Land has invested a large amount of capital to build the modern 5-star Celadon Sport & Resort Club with the area of 5.43 hectares. This place is also expected to be the venue for the major sporting events of the city and Vietnam.